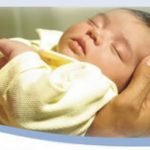 Estate Planning - A Safe Haven for Newborns | Pregnant Need Help? Please consider including A Safe Haven for Newborns in your Estate Planning which may include- Life Insurance, Real Estate, Wills and Living Trusts, Memorial and Tribute Gifts, Pension, other Assets. A planned Gift continues your compassion to save the precious lives of the most innocent and vulnerable among us, newborns. Please contact: Jerome Hurtak, Attorney either by office phone- 305/892-6869 or by email-jhurtak@meyecomputer.com for further information. I want to become a friend of Safe Haven and receive your newsletter. You can opt out at any time.